Demi Lovato switched up her hair game in a major way at last night. She's been sporting long brunette extensions for some time, hitting red carpets with romantic cascading waves. But at the Kids' Choice Awards last night, she ditched her long dark hair for an angled lob. Lovato has worked a lob before and has never been shy to switch up her tresses from time to time. For her latest chop, Lovato kept her signature waves, but the tousled look was edgier with the choppy new 'do, and her rich brunette locks were lightened up by caramel highlights. 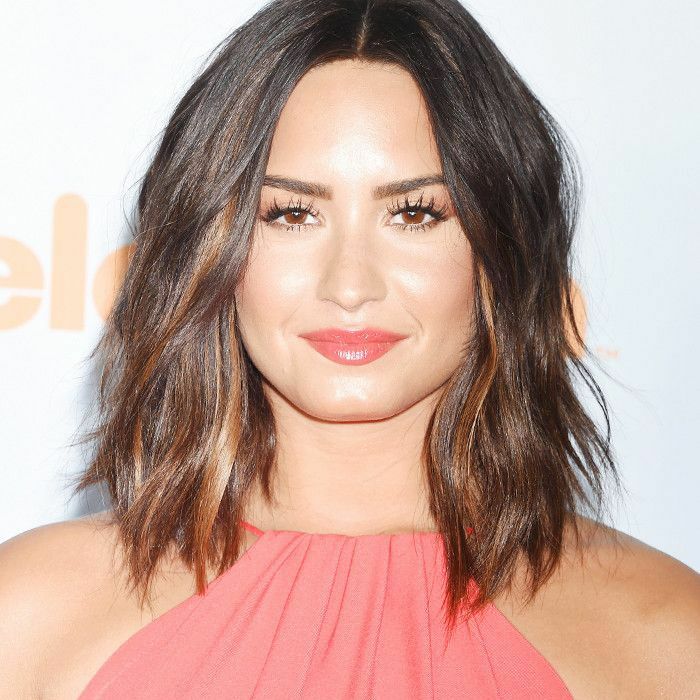 While the lob is nothing new, Lovato's take was fresh thanks to its subtle angle and subdued coloring, a welcome change from her longer stylings. Though there's no indication whether she'll keep the shorter look, it was a fortuitous switch-up for the evening, when later that night she was "slimed"—one less hair-extension challenge to worry about. Shop the tools below to get tousled waves like Demi Lovato's.